Here is another study, painted at the same location as the study posted below. I was off to a rather bad start, having scrubbed in nearly every boat in the harbor. 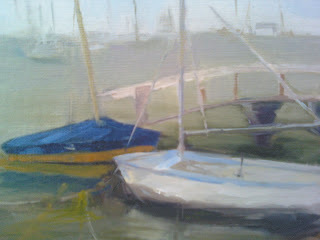 Once I took them all out, and focused on the two boats and dock, the little study worked much better.